Why do we send Christmas cards? Most of us enjoy receiving Christmas cards during the holidays, but have you ever stopped to wonder how the tradition of sending Christmas cards to family, family and colleagues began? The annual rite of sending holiday cards began in Victorian times in England. The tradition was popular from the beginning and has now spread around the world, with billions of cards sold and sent during the last months of each year. Though modern technology threatens to change the way we send cards - or eliminate the tradition completely - for now the Christmas cards tradition remains popular. Sir Henry Cole, a British civil servant and inventor, produced the first holiday cards in 1843. He commissioned an artist named John Horsley to illustrate them, and Cole obliged by drawing a three-panel image that included a family raising their glasses for a toast in the middle above the words "A Merry Christmas and a Happy New Year to you." Cole sold over 2000 of the cards for a shilling a piece that year. Other cards soon followed, although they didn't look like the cards we'd think of today. Rather than having winter or religious themes, early Christmas cards depicted flowers and fairies and other images that looked forward to the coming of spring. The first holiday cards in America weren't offered until more than three decades later. In 1875 Louis Prang became the first printer to offer cards in America. The advent of the postcard brought an end to elaborate Victorian-style cards for awhile, but by the 1920s, paper Christmas cards with envelopes had returned. Christmas cards have been continually evolving and changing since then. During the World Wars, patriotic themes were popular, while in the 1950s, cartoon illustrations and cards with risque humor caught on. Today you can get holiday cards with a wide range of images and greetings. 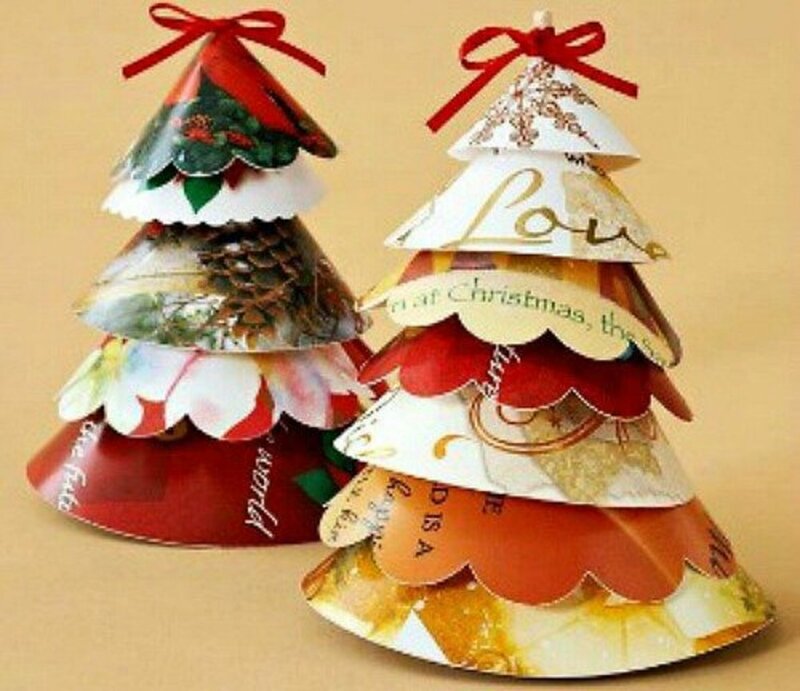 Nostalgic, sentimental, and religious images continue to be popular, and, now you can also purchase many "unusual" Christmas cards that can do double-duty as Christmas letter, calendars or or tree ornaments. Today's Christmas cards can be anything from humorous to religious, simple to ornate, small to large, and everything in between. Unfortunately, sending out paper Christmas cards is a tradition that's in danger of fading out as more high-tech options become available and more popular. In recent decades, the number of cards sent during the holidays has been declining. The estimated number of cards received by American households dropped from 29 in 1987 to 20 in 2004. Despite the decline, printed cards are still popular - Hallmark says about 1.8 billion cards are sent in the U.S.alone during the holidays. And new services that send cards out for you are making it easier to combine the popularity of printed cards with the ease of online ordering. So even though the tradition of holiday greeting cards may be changing, it should be with us for a long time to come. These days, you can find plenty of unusual holiday cards online, including some of these fun designs at Zazzle. Find Christmas card discounts and coupon codes at Christmas Coupons 365.com. Did You Learn Something About the History of Christmas Cards? christmas greeting cards has a history. Lol. But this really sounds interesting. Thank you! interesting. many of us, loves to send christmas cards to our loved ones but never knew the story behind it. thanks.